Brilliant all purpose hanger for larger clothes. Foam protector sleeve on trouser bar prevents garments slipping and minimises creasing at the fold. Thick 5cm shoulder depth gives support and keeps clothing in their original shape. Ideal for suits, jackets, trousers, coats, skirts, uniforms etc. 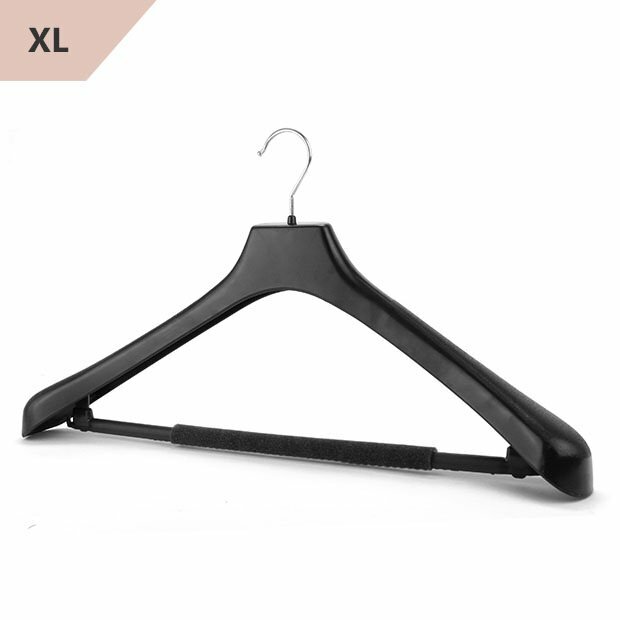 Wide collar section makes these hangers equally suited to shirts & t--shirts. Size: Width x Arm Depth 50cm x 5cm (19.7"x 2") approx. Just what I wanted.. And arrived in very good time. Light, study and large enough for suits, coats, and other garments that you do not want folding on themselfs.